Known as captive nuts, spire nuts, spring nuts or clip nuts. 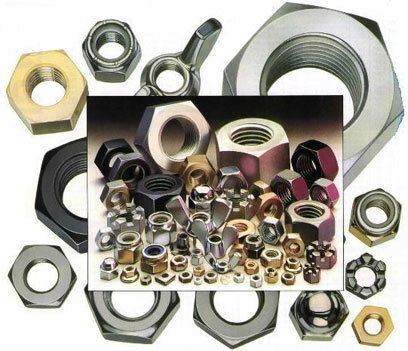 Also chimney nuts, J nuts and lug nuts are variants of this style. 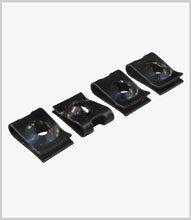 Generally produced in hardened and tempered carbon steel in blue/black or zinc plated finish, to suit many gauges of sheet and sizes of screw, e.g. No. 4 to 12 and metric threads.